If your teeth hurt when exposed to hot or cold drinks or even when you take a big gulp of air, talk to your dentist as soon as possible. Tooth sensitivity can often be treated, and allowing your dentist to determine the cause is the first step. Watch this video to learn more about tooth sensitivity. Sensitive teeth are sometimes caused by aggressive brushing, and in other instances, teeth grinding is to blame. Diet, especially diets high in acidic foods or carbonated drinks, can also trigger sensitivity. 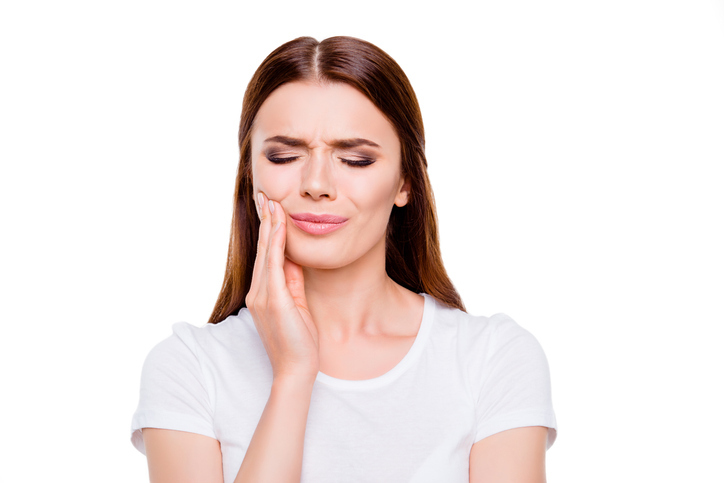 Make an appointment at Park 56 Dental to find out what is causing your tooth sensitivity and to get the treatment you need. To make an appointment with a top dentist in NYC, call (646) 783-3529. It’s common knowledge that seeing a dentist regularly is one of the best ways to maintain a beautiful, healthy smile. 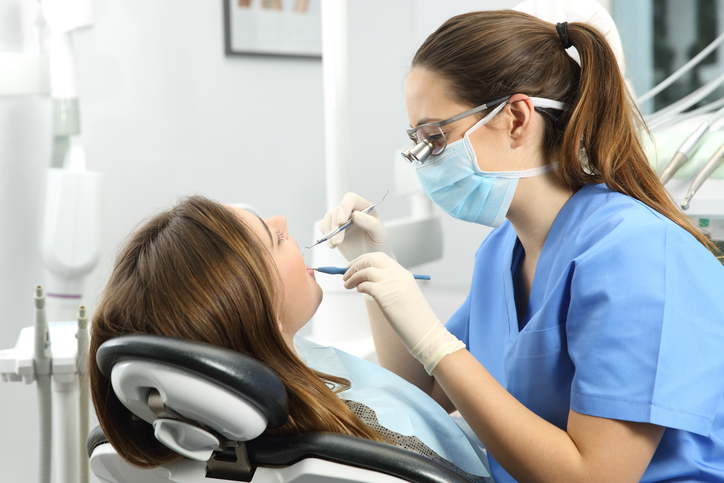 The dental hygienist will scrub your teeth until they gleam, and the dentist will diagnose and treat oral health issues before they turn into major problems. But beyond dentist appointments every six months, there are plenty of everyday things you can do to support your oral health. Did you know that athletes are at a high risk of tooth decay and gum disease? It’s because sports drinks are often acidic and contain large amounts of sugar. Non-athletes who drink soda and fruit juice also have this problem. 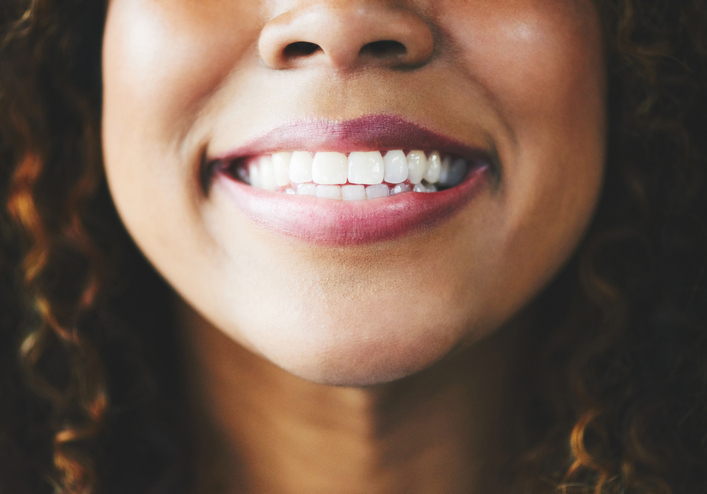 One easy way to keep your pearly whites looking their best is to drink plenty of water throughout the day, and skip the soda and fruit juice. Dentists strongly recommend using soft-bristled toothbrushes, even though medium and hard bristles are readily available in stores. Although your enamel is quite hard and durable, hard bristles can gradually wear it down. Hard bristles can also encourage the gum line to recede, which can lead to tooth sensitivity. Swish mouthwash for the recommended time. Lots of people use mouthwash, and many of them even double-check the label to make sure it contains cavity-fighting fluoride. But not everyone knows how to use mouthwash correctly. Check the label. Depending on the product, it will likely say to swish the mouthwash vigorously for 30 seconds or one minute, then spit. You’ll also be instructed not to eat or drink anything for at least 30 minutes, so refrain from swishing with water after you use mouthwash. Following the directions is important for keeping the cavity-fighting fluoride and any teeth whitening ingredients in contact with your teeth for the recommended time period. With the cosmetic dentistry services available at Park 56 Dental, you can get a smile you’ll be proud to show off. Our friendly staff offers a full suite of dentistry services in NYC, including teeth whitening, dental veneers, implants, and smile makeovers. Call (646) 783-3529. Many people never go to the dentist because they are nervous about having dental work done. Unfortunately, ignoring oral health issues will only make them worse. Gingivitis is easily reversed, for example, but advanced periodontal disease requires far more intensive treatment. If you’ve been delaying an appointment because of your nerves, it’s time to talk with your dentist about sedation dentistry. This video introduces the concept of sedation dentistry. Patients can use a sedative, such as laughing gas or an oral medication, to help them feel better about sitting in the dentist’s chair. While sedated, time will seem to pass more quickly and few to no memories of the experience will be retained. With sedation dentistry available in NYC, there’s no reason to be nervous about your upcoming dentist appointment. Just call Park 56 Dental at (646) 783-3529. Which Foods Are the Healthiest for Your Teeth? Every January, countless people make New Year’s resolutions to lose weight and eat healthier. As an added bonus, many of the same foods that are good for your waistline are also good for your teeth. Dentists recommend eating plenty of fresh, natural foods that are low in sugar and high in calcium. Leafy greens, fruits, and nuts are all at the top of the list. Apples are naturally sweet, making them a great alternative to desserts and snacks with added sugar. By choosing an apple instead of a few cookies, you’ll reduce the amount of sugar your teeth are exposed to, which can help fight tooth decay. Apples have other benefits as well. The crunchy, fibrous texture of the apple stimulates the gums and triggers the production of saliva. Saliva is important for washing away particles of food and bacteria. Dairy products aren’t the only foods that are high in calcium. Leafy greens like kale and spinach are also chock-full of this important mineral, which helps keep your teeth and bones strong. Look for ways of incorporating more leafy greens into your diet, such as by adding spinach to your tacos or pizza. When you make salads, you can make your own sugar-free salad dressing from olive oil, vinegar, and freshly cracked pepper. Almonds are often included on lists of superfoods. They contain lots of calcium and protein to help protect your teeth. And since they are naturally free of added sugar, almonds make the perfect snack or salad topper. While cheese is too high in calories to be considered a diet food, it’s actually very good for your teeth. Enjoy small amounts of cheese in moderation to boost your calcium intake. Cheese may also offer a protective benefit beyond its calcium content. Research suggests that eating cheese will raise the pH level of the mouth, which reduces the risk of enamel erosion and tooth decay. 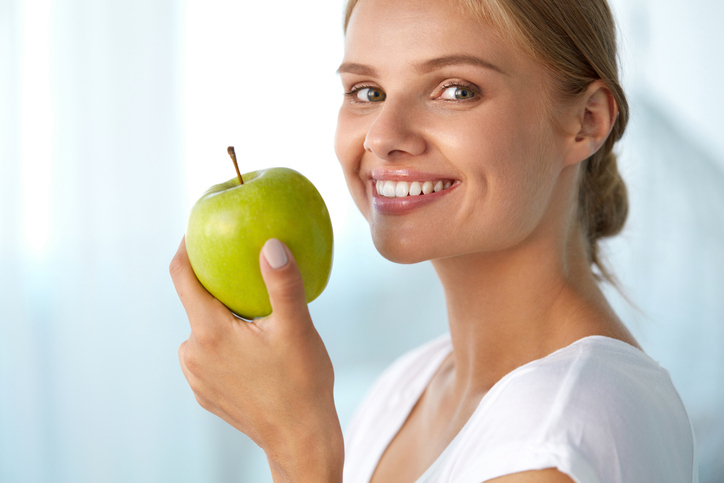 Even if you follow a smile-friendly diet, it’s still important to get a professional teeth cleaning every six months. 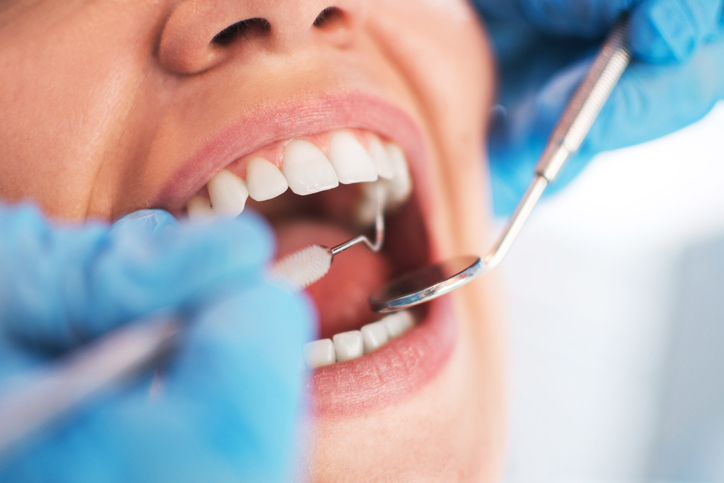 Park 56 Dental provides comprehensive preventive, general, and restorative dentistry services. You can call our dental clinic in NYC at (646) 783-3529 to request an appointment. Invisalign can dramatically improve your smile without the need for metal brackets and wires. However, to get the best possible results, it’s important to follow the strategies recommended by your dentist for getting the most out of your treatment. Your dentist will review the ins and outs of Invisalign with you. This information will also help you maximize your treatment results. One of the things that patients like the most about Invisalign is that the aligners can be removed for eating and for brushing and flossing. However, this clear benefit can have a downside if you aren’t vigilant about wearing your retainers as much as possible. You should aim to wear your aligners at least 22 hours per day. If you don’t, not only is it likely that your treatment time will be extended, but also the condition you’re treating may get worse. If each set of new aligners seems to fit worse the last, then there is a good chance you haven’t been wearing them consistently enough. Many people have a habit of chewing on pen lids, nails, ice, and other non-food items. Although it may seem harmless, this habit is bad for your teeth and a disaster for your Invisalign aligners. It’s important to focus on breaking this habit when you’re undergoing Invisalign treatment, so that your aligners stay snug against your teeth and they don’t become damaged. Your aligners are just part of your Invisalign treatment plan. Once your teeth are in the desired positions, your retainer will help to keep them there. Wearing your retainer is critical to ensuring that your teeth don’t shift back to their previous positions, so follow your dentist’s instructions regarding your retainer carefully. Are you interested in learning more about how Invisalign could help you get the smile you want? Schedule an appointment at Park 56 Dental to find out more about Invisalign in NYC and our other treatments. To make an appointment for a consultation, call (646) 783-3529. What Would Really Happen if You Stopped Brushing Your Teeth? Nearly everyone has done it—expect maybe your dentist. You’ve had a late night, you want to get to bed, and you don’t feel like brushing your teeth, so decide to skip it. Maybe you can skate by without major damage after one night, but what would happen if you actually stopped brushing your teeth for an extended period of time? Watch this video to learn more about the effects of not brushing your teeth. Not just your oral health is on the line, but your heart, lungs, and other parts of your body could be impacted as well. At Park 56 Dental, we provide everything from general dentistry to root canals, Invisalign, and dental implants. Make a dentist appointment near NYC by calling (646) 783-3529.